I’m the keeper of photos in our family. Stacks of albums, spanning decades, are stored in my house. I can spend hours sifting through photographs, sometimes even of people and places I don’t know, imagining the moments captured. So while I love having some polished photos of our family, it’s the candid snippets of life that I treasure. So when Moncton-area photographer Tara Geldart reached out about doing a lifestyle photography session, I never hesitated. Her work is incredible; she has a great sense of light and composition, and her snippets of real life are perfectly imperfect. I WILL print our family photos from Tara, and I WILL NOT wait months or years to do it. 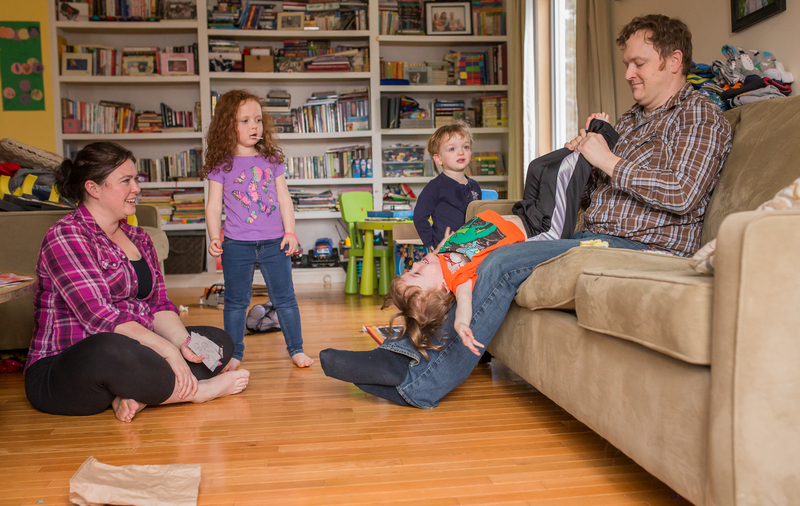 And when we look back at this crazy, hectic, three-preschoolers-at-once stage of life, we will have these amazing quality photos of the little moments – wiping snotty noses, playing LEGO and My Little Pony, snowball fights, family storytime – to pour over. The ‘lifestyle photography’ session may be a different concept for some to grasp. This isn’t about coordinating outfits and hoping everyone looks at the camera at the same time. It isn’t about staging a crazy day at home. This is about capturing the real moments of your family life. I prepped in the same way I would for a playdate with a friend: clean clothes, but still yoga pants and an old shirt; let the kids pick out their own clothes – just no PJs; laundry still on the couch; a few dishes in the sink. When Tara came to the house, we didn’t fuss about what we were going to do, we just played and hung out, and let Tara move us closer to the natural light from the windows now and then. That was it. Easy, simple, relaxed. We now have a treasure trove of high-quality photos of the truly quality moments in our life. 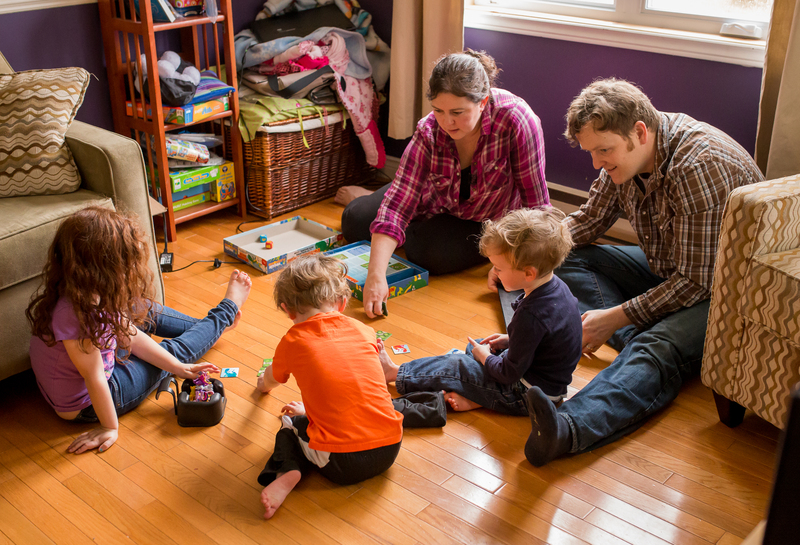 Tara lives in the countryside near Moncton, with her husband and six children. (She gets the chaos!) Her work has been profiled in Huffington Post, a multi-finalist in the Shoot and Share Photo Contest, a contributor to the Click Pro Daily Project, and much more. You can see her blog post about our session here. If you’re looking for a truly inspired gift (Mother’s Day and Father’s Day are both just around the corner! ), considering booking a no-fuss session with Tara. To me, nothing would capture the essence of family like receiving these photos, which also ensure everyone is in the frame – no mom or dad hiding behind the lens.